Crafted in metal, wood, and upholstery, each piece promises long-lasting support and durability. 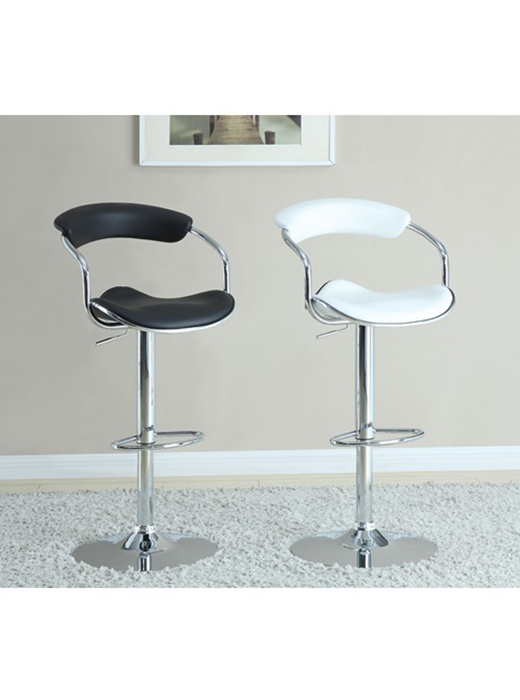 Accent your contemporary bar area with this bar stool. 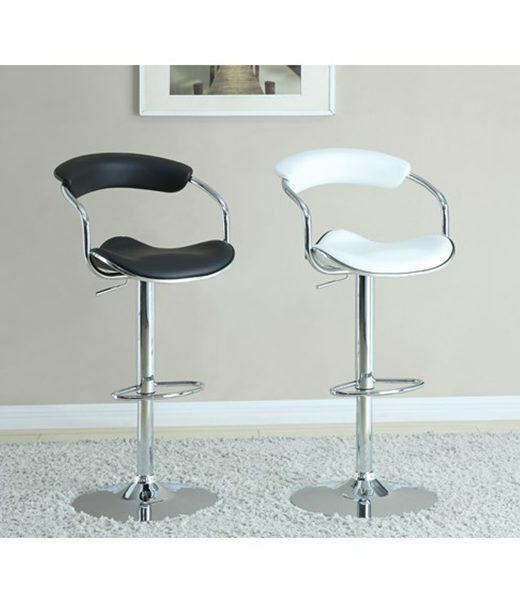 The sleek design features a black leather-like seat with a built in footrest for a modern profile. The shiny chrome base includes a swivel seat and adjustable height lever to raise chair up to 40 inches.